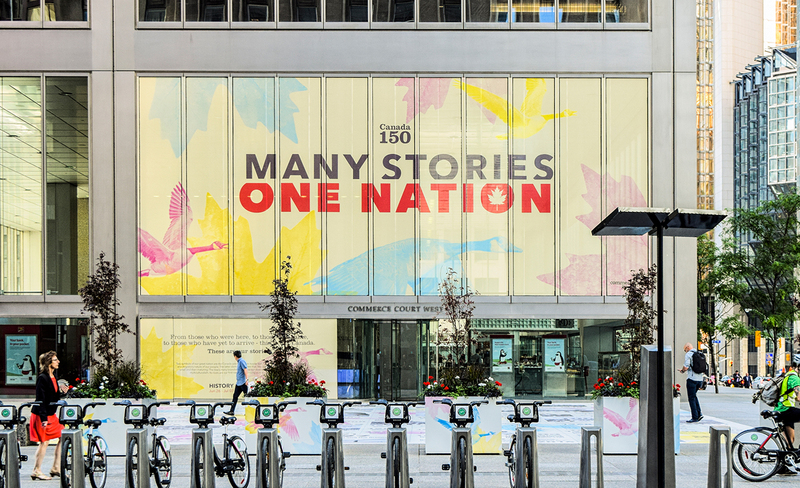 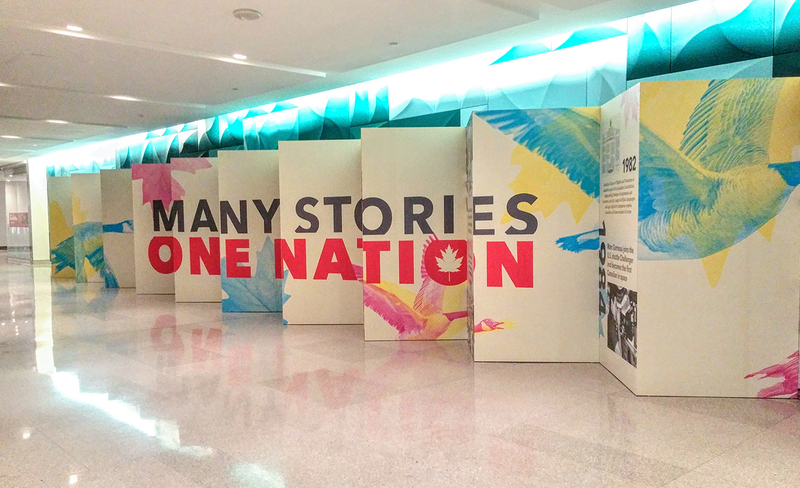 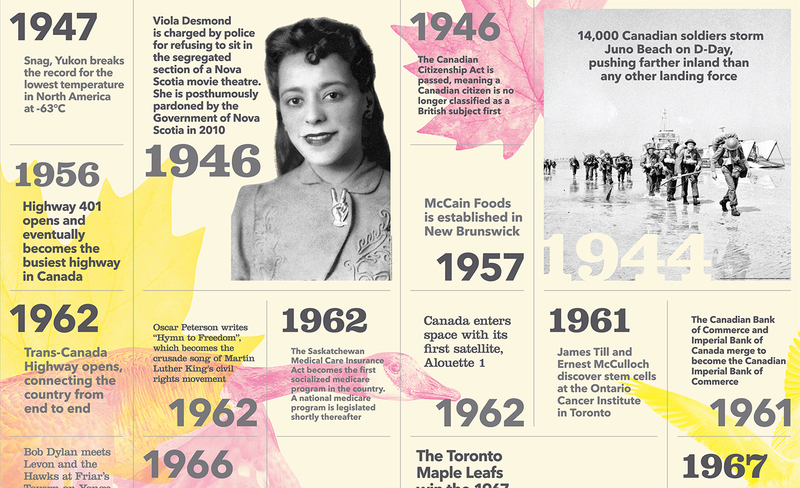 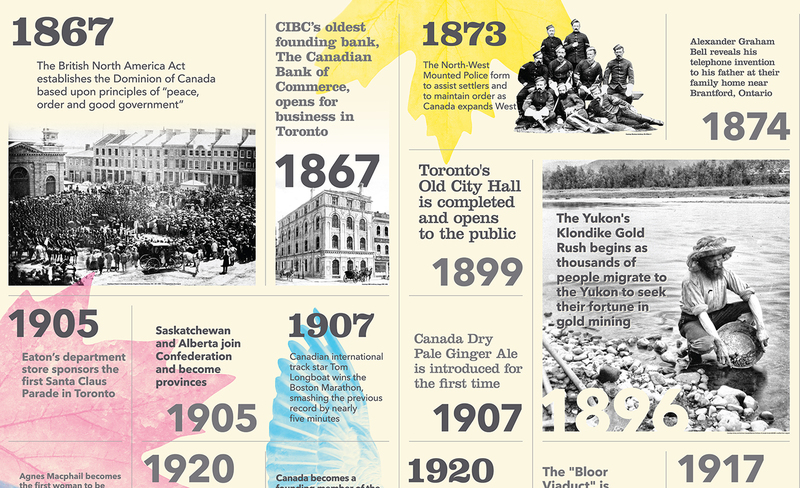 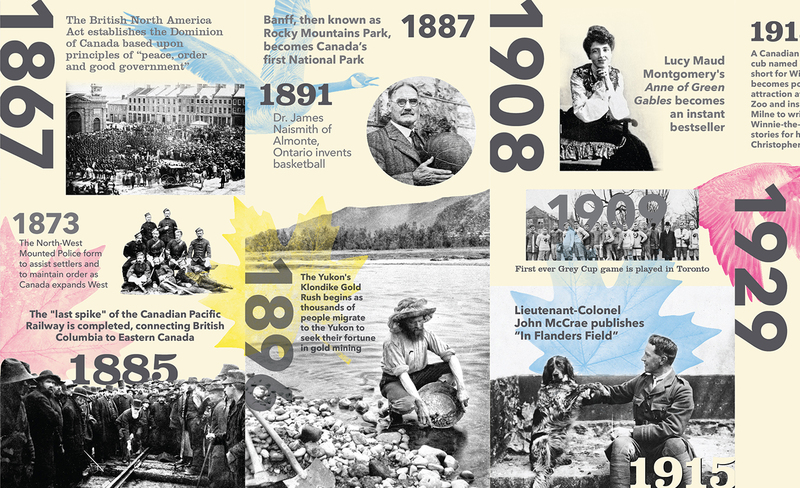 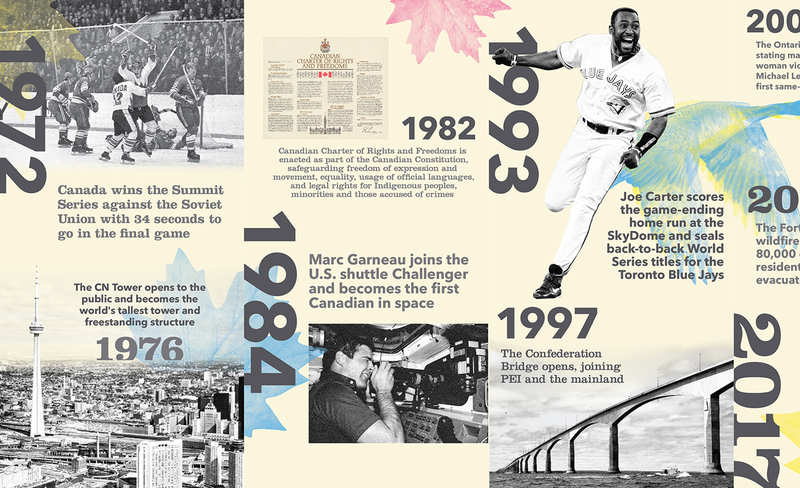 While working at GMR Marketing, I was part of the team that created an activation concept, “Many Stories One Nation” for GWL in celebration of Canada’s 150th anniversary. 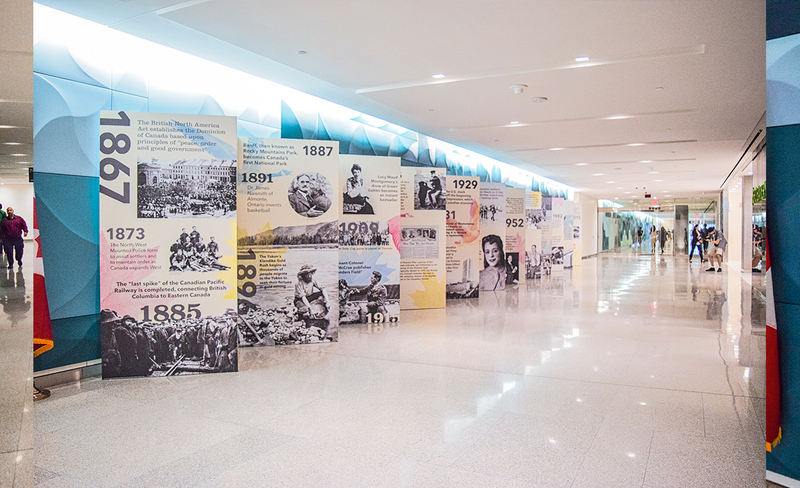 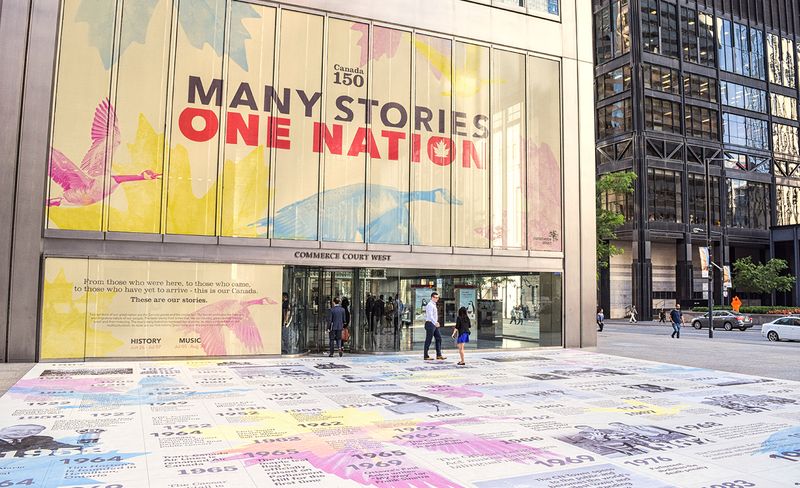 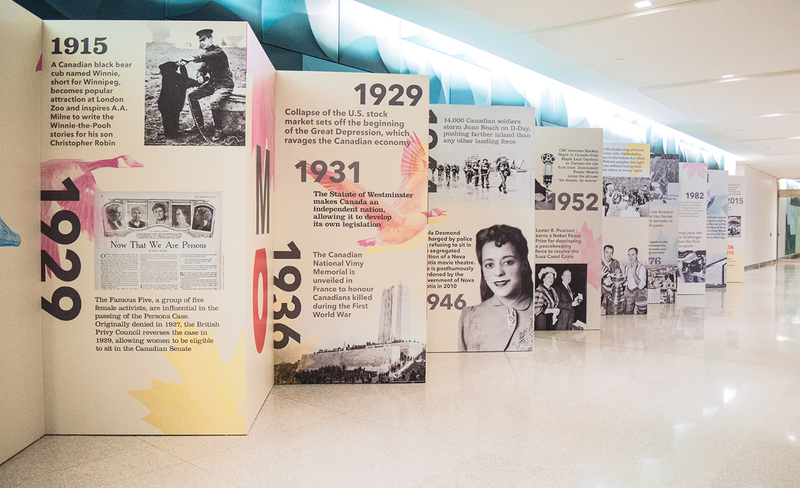 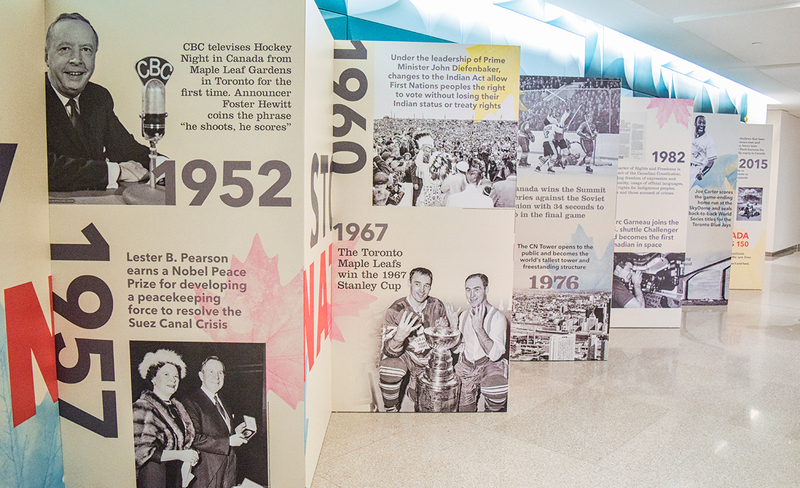 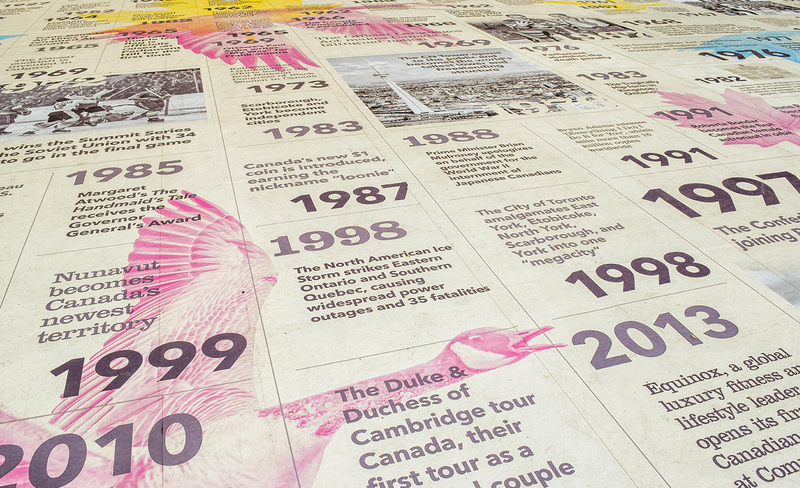 The project included 150 stories of Canadian history in the entrance of Commerce Court using life size floor decals and thirty stories in the SFC Path using accordion panels that revealed the stories as you walked through the corridor. 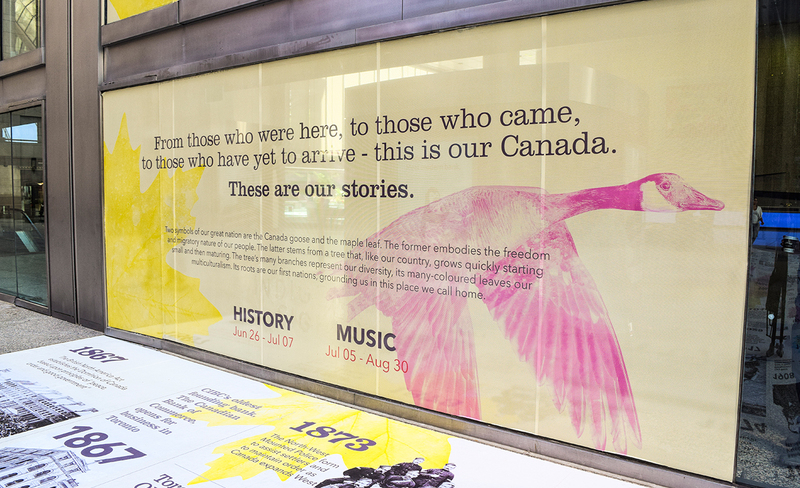 I was the designer in charge of the art direction of the project and based my design on a Canadian icon, the goose, to represent the migration history the nation was founded on.